The development is in an area bounded by Callowhill, Vine, Eighth and Ninth Streets. 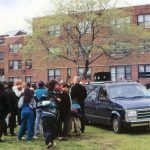 It was not unusual for community development corporations to emerge out of faith-based efforts to improve living conditions in neighborhoods suffering decades of disinvestment. In Camden, St. Joseph’s Carpenter Society was one of several such organizations. Starting with efforts to stabilize housing conditions nearest St. Joseph’s Pro-Cathedral, the Carpenter Society extended its housing rehabilitation program throughout East Camden to good effect over the years. In this scene from the mid-1990s, longtime parish priest and Carpenter Society founder Msgr. Robert McDermott (center, back to camera), uses the annual Stations of the Cross trek through the neighborhood to point up trouble spots, this one the Westfield Acres housing complex. 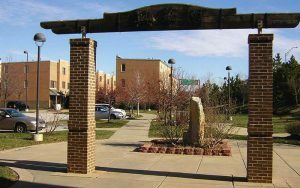 The Evelyn Sanders Townhouses, seventy-one units in North Philadelphia's Fairhill section, was developed and managed by the Women's Community Revitalization Project, one of a growing number of CDC housing developments that are LEED certified for their environmentally sensitive and sustainable design. 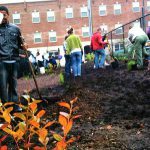 Community development corporations (CDCs), initially a federal initiative intended to direct resources to beleaguered neighborhoods where local activists would take the lead in identifying and solving their most pressing problems, first formed in Philadelphia at the end of the 1960s and early 1970s. As federal funding for such efforts dried up in the Reagan era, activists in Philadelphia and other areas hit hardest by the effects of deindustrialization turned to other private as well as public resources to sustain such grassroots efforts to meet community needs. CDCs originated in the 1960s under the Special Impact provision of the federal War on Poverty. Owing their origin to a 1966 amendment to the Economic Opportunity Act that designated the Bedford-Stuyvesant neighborhood in Brooklyn as a pilot experiment, the concept quickly spread. Given problems associated with Philadelphia’s anti-poverty program, not the least its Model Cities program, the city received no federal funding for the Special Impact Program. Instead, the early model for community development was a network of Opportunities Industrial Centers, organized and effectively funded nationally during the Nixon administration by the Reverend Leon Sullivan (1922-2001). Philadelphia’s first CDC emerged in 1969, when residents who had been fighting the Vine Street Expressway’s potential destruction of Chinatown formed the Philadelphia Chinatown Development Corporation. Over time, its activities extended beyond protest to the development of hundreds of affordable new housing units and the transformation of Chinatown’s landscape with the Friendship Gate and other streetscape improvements. Another CDC formed in 1970 when the Tasty Baking Company, the largest employer in its upper North Philadelphia neighborhood, formed the Allegheny West Foundation as a vehicle for local investment. The foundation rehabilitated hundreds of housing units and a block of properties for mixed residential and commercial use on North Twenty-Second Street. 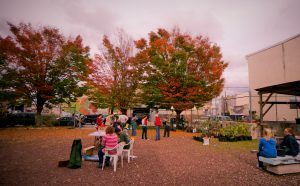 The concept caught on both in Philadelphia and in Camden, where neighborhood-based activity took many forms. Most CDCs combined “hard development”—rehabilitating housing and commercial real estate, starting businesses, and creating jobs for local residents—with “ soft components” related to human services such as child and elder care, home-ownership counseling, recreational activities, and drug and alcohol abuse programs. 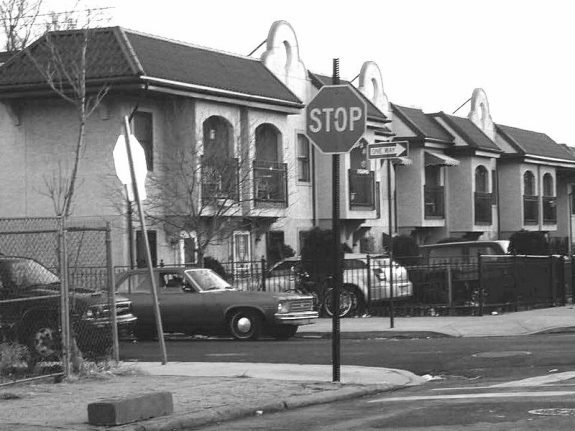 The West Oak Lane CDC founded in 1980, for instance, acted as its own general contractor with its own construction crew to rehabilitate the neighborhood’s 600 abandoned houses. It also created twenty-five new jobs when it opened its own Dunkin’ Donuts franchise. 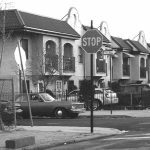 The organization survived as a housing subsidiary to the Ogontz Avenue Revitalization Corporation (OARC), which assumed the larger goal of making the neighborhood desirable to middle and working-class households. Over time the OARC directed programs in housing development, home improvement, education, economic development, and workforce development, while adding “softer components” such as arts and cultural event planning, grass-roots community planning, and even tourism promotion. Many CDCs arose out of earlier grass-roots advocacy of the 1950s and 1960s, including civil rights, anti-urban renewal, and related movements. For example, in 1970 a group of Puerto Rican veterans of the Vietnam War founded the Asociacion de Puertorriqueños en Marcha (APM, the Association of Puerto Ricans on the March), which extended their activism to urge government to address the Puerto Rican community’s housing, employment, and health needs. Reflecting broader trends in the history of CDCs, APM expanded its work over the years from a focus on health and mental health programs to become one of the region’s premier nonprofit housing developers with a staff of over one hundred and a diverse range of services. Also following trends in federal policy and funding, APM’s housing development shifted from rental housing for the poor to moderate-income homeownership to a mix of affordable and market-rate apartments. In Camden, Catholic parishes, left with the loss of their white working-class members, established community development corporations with the goals of engaging their new neighbors and stabilizing for them the often tumultuous experiences associated with concentrated poverty. The St Joseph’s Carpenter Society, seeking to strengthen the housing market in East Camden, undertook an expansive rehabilitation program, which included home-ownership training funded by the city’s only major remaining corporation, Campbell Soup. 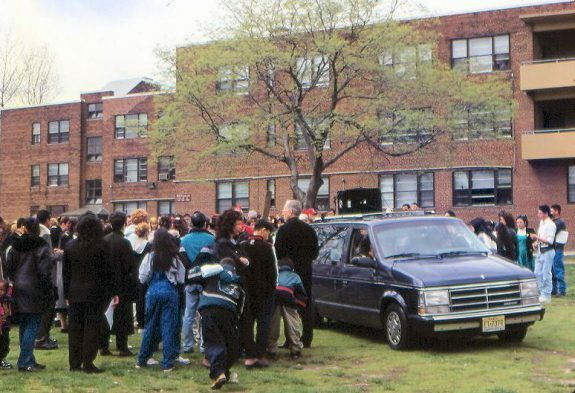 In the impoverished and environmentally compromised Waterfront South neighborhood, another CDC, Heart of Camden, drew on the skills, donations, and connections of former residents who had moved to the suburbs but remained committed to serving area residents through Sacred Heart parish and school. In addition to housing rehabilitation, Heart of Camden instituted associated resources for enrichment, including a full service fieldhouse created from an abandoned movie theater, a theater on the site where the director’s grandfather once operated a neighborhood tavern; an urban farm; and a community art gallery center carved out of an abandoned fire station. In Wilmington, the Central Baptist CDC formed to revitalize the city’s Eastside, emphasizing a combination of workforce development and housing stabilization. 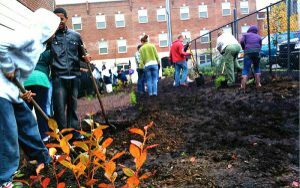 Through its Urban Acres Produce organization, it sought to assure convenient access to healthy foods in low income sections of the Eastside and Northeast sectors of the city. 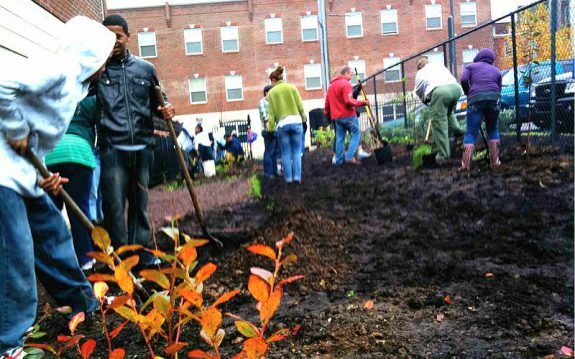 To enhance the impact of such localized efforts, community development corporations in both Camden and Philadelphia formed their own associations. 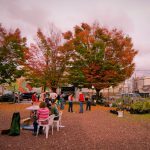 According to a 2012 report from the Econosult Corporation, members of the Philadelphia Association of Community Development Corporations, formed in 1992, had completed 1,500 development ventures at a cost of $2.2 billion over a twenty-year period, generating a total economic impact of $3.3 billion. In 2004 the Camden Non-Profit Housing Association reorganized and hired an executive director to assume the role of supporting the city’s thirteen community development corporations under the name of the Camden Community Development Association. With the benefit of access to a number of external resources, entrepreneurial CDCs were able to organize and implement development and service activities that had previously been managed exclusively by government agencies, businesses, or citywide and regional service organizations. Examples included the development and operation of a new supermarket (by APM); the construction of transitional and permanent housing for formerly homeless people, including on-site human service programs (by the Project HOME and People’s Emergency Center CDCs); and the implementation of an ambitious open space greening and development strategy (by New Kensington CDC) that facilitated the creation of Greensgrow Farms, a nationally recognized urban agriculture venture. In order to help address the need to support community development corporation operating expenses, City Council member W. Wilson Goode Jr. (b. 1965), son of a former Philadelphia mayor, introduced a CDC Tax Credit Program, approved by Council in 2002, through which a business that contributed funding to a qualified CDC annually over a ten-year period would receive equivalent reductions in Business Income and Receipts Tax liability during that time. Born in a period of neighborhood activism, CDCs proved largely adept at responding to local needs in light of diminished public resources. Seeking to lift the fortunes of those living in areas weakened by years of disinvestment, they could point to many accomplishments, even if the areas they represented continued to suffer the long-term effects of urban restructuring. Howard Gillette is Professor of History Emeritus at Rutgers University-Camden and co-editor of The Encyclopedia of Greater Philadelphia. Domenic Vitiello is Associate Professor of City Planning and Urban Studies at the University of Pennsylvania and an associate editor of The Encyclopedia of Greater Philadelphia. 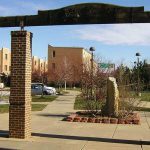 This essay incorporates information compiled by John Kromer, former City of Philadelphia Housing Director and former Director of the Camden Redevelopment Agency. Peirce, Neil R. and Carol F. Steinbach. Corrective Capitalism: The Rise of America’s Community Development Corporations. New York: Ford Foundation, 1987. Chinatown Friendship Gate, North Tenth Street at Arch Street, Philadelphia. Greensgrow Farm, 2501 Cumberland Street, Philadelphia. Star Theater building became a community center, 1840 S. Broadway, Camden.